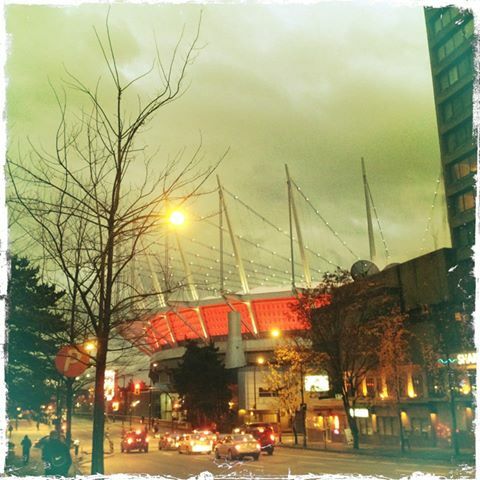 A UFO was sighted one block from the Stadium-Chinatown SkyTrain Station tonight. The apparent anomaly in the sky was seen hovering over the intersection of West Georgia and Beatty streets around 5:00 p.m., PST. Our photographer captured this image of the ginormous flying saucer.